Going green has never been easier! Being environmentally responsible doesn’t have to mean selling all your possessions, living in a shared living compound, and composting all of your trash. Thanks to technology, there are many practical and affordable ways for people to do their part to create a more sustainable world for us all to live in. The economics of environmental responsibility doesn’t just makes sense, it makes dollars and cents. Using florescent or LED lights that use less electricity and last longer than traditional lightbulbs is one way. Solar panels have never been cheaper or easier to install, and in some places can put money back in your pocket from your electricity provider. Denser insulation helps houses use less gas for heat in the winter and less air conditioning in the summer. Those are some things that can be done at the residential level, but what about the commercial and industrial sectors? Well one of the answers is green building. Green building doesn’t refer to the color of the walls or floors. It is a term for the paradigm of environmentally responsible construction and demolition of commercial and industrial buildings. 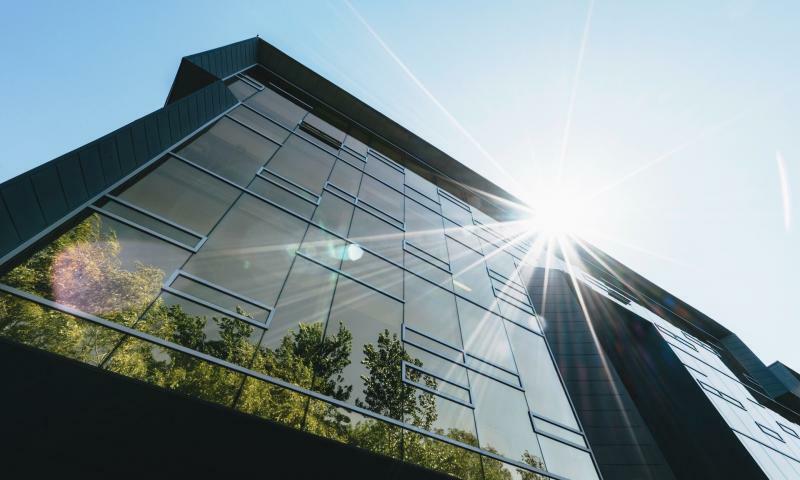 There are many aspects to green building from utilizing solar power, to water efficiency, green rooftops, recycled metals for the exterior, and reclaimed furniture for the interior. Reclaimed furniture aides in the green building process at both ends of the spectrum. In a new building, using reclaimed furniture helps reduce negative environmental impact by using recycled materials to furnish the new building. When a building is demolished, some of the materials are recycled and used to make new reclaimed furniture. Barn XO sources many of our materials from midwest barns and buildings that after they are demolished, but before those materials are brought to landfills. If you've ever thought about going green but aren't sure how you can do your part, there has never been a better or more convenient time than now. Reclaimed furniture is not only environmentally responsible, it has also never been more popular! From coffee shops, to office buildings, to bars and restaurants, reclaimed furniture is undeniably the trend in interior design. So whether you want to contribute to environmental sustainability or simply take pride in being on trend, Barn XO has an array of reclaimed furniture for you. We would love it if you brought some of our responsibly on trend furniture into your home or office today!